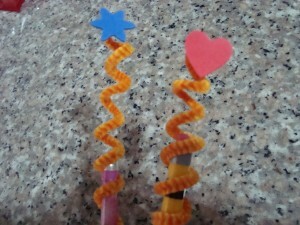 A very simply craft that your kids can do. As easy as 1-2-3. 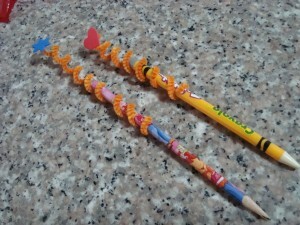 You can do this to add a little fun to your kid’s pens or pencils. Or this can also make a pretty present. 1. 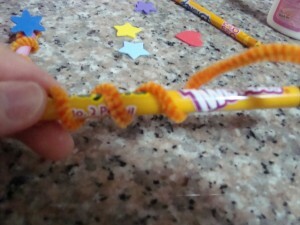 Holding the pipe cleaner on your right hand and the pencil on the other. 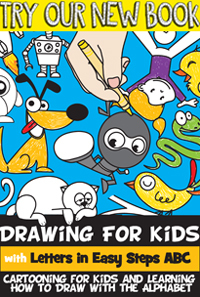 With your left hand, holf the tip of the wire and gently push it against the pencil and swirl it around until you reach the other end. 2. With the wire secure in place, get any foam shape of your liking. Glue it to the upper tip of the wire. 3. 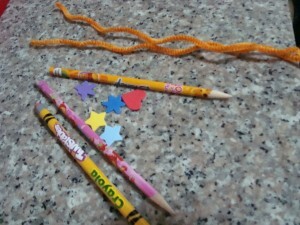 Gently slide the wire up the pencil, with only half of the wire hugging the pencil now. 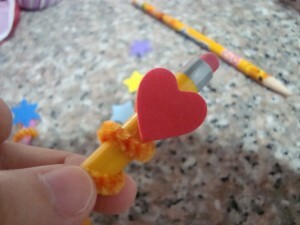 And you have a cool pencil topper! 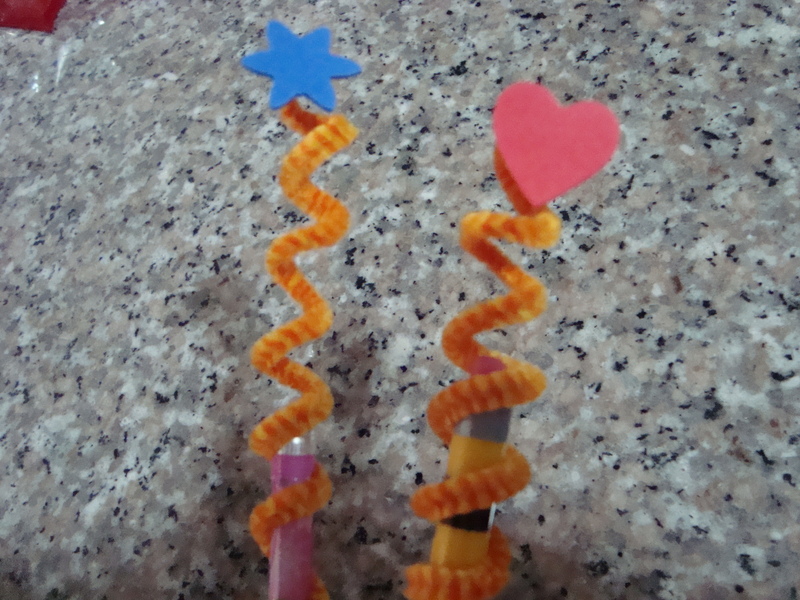 Here is our video on how to Make Pencil Toppers.